Tool Belt, a new technology solution provider, launches its suite of solutions and services today to help service contractors run, improve and grow their business. Through its cloud-based platform, apps, websites and in-person training Tool Belt addresses the needs of plumbers, electricians, HVAC technicians and other service contractors to compete at the top level and provide superior customer service. 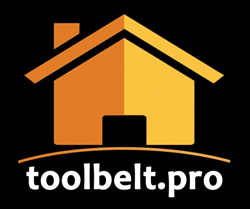 Tool Belt (http://toolbelt.pro) brings together the depth and breadth of technology, content and services from its suite of digital tools, including a membership site, blog, field-service app, social media marketing channel, training and more. "Tool Belt expands our online presence to reach new customers," said Andrew Zackoff of PipeWorks Services in Chatham, New Jersey. "We see it as a growing platform for professionals like us." Other service contractors have benefitted from Tool Belt’s app and sales tools to maximize their revenue goals and boost customer satisfaction. “I sold my first job over $15,000 the very first week. I know there is no magic bullet, but this is as close as it comes,” said George Mills of Ed’s HVAC, Dayton, Ohio. Tool Belt combines 30+ years in the service contracting industry where it’s built successful businesses and coached thousands of contractors, with its tech team's 20+ years’ experience, helping build companies including Google.